What You Get for $300,000!!! What: A three bedroom, two bath single family home. Description: Spectacular 3 Bedroom, 2 Bath home located just 2 blocks from Park Avenue. The gorgeous kitchen has beautiful dark wood cabinetry with newer appliances and ceramic tile. Conveniently off the kitchen is the large indoor laundry room and walk-in pantry. The large family room is inviting with berber carpet, sunlight galore and French doors that lead out to a screened in lanai overlooking a brick patio with a park like setting, perfect for outdoor entertaining! The back part of the house was remodeled in 2006 so you get Winter Park charm with new home amenities. This split plan offers a luxurious master suite with a HUGE master bath complete with a walk-in travertine shower, double sinks with upgraded decorative mirrors, and TWO large walk-in closets! The master bedroom is 18×15 and opens to the screened lanai. You must see to believe. The Second bedroom has terrazzo flooring and built-in shelving! Other amenities include newer roof (2006), crown molding throughout, indoor utility room, fenced backyard and newer outside a/c unit (2006). Don’t miss out on this great house in a highly sought after neighborhood with great schools! Winter Park was founded as a resort destination by wealthy New England industrialists before the turn of the 20th century. It is recognized as the first centrally planned community in Florida; its main street includes not only public civic buildings and retail, but also art galleries, a private liberal arts college, museums, a park, a train station, a golf course country club, a historic cemetery, and a beach and boat launch. Winter Park is celebrated for a sense of place and history, uncommon to many parts of Central Florida. Many structures are more than 100 years old. The scenic Olde Winter Park area is punctuated by small, winding brick streets, and a canopy of old Southern Live Oak and Camphor trees, draped with Spanish Moss. The city draws thousands of visitors to annual festivals including the Bach Festival, the nationally ranked Sidewalk Art Festival, and the Winter Park Concours d’Elegance. Description: Welcome home to the popular Garnett model by Ryland Homes in convenient neighborhood of Clifton Park. 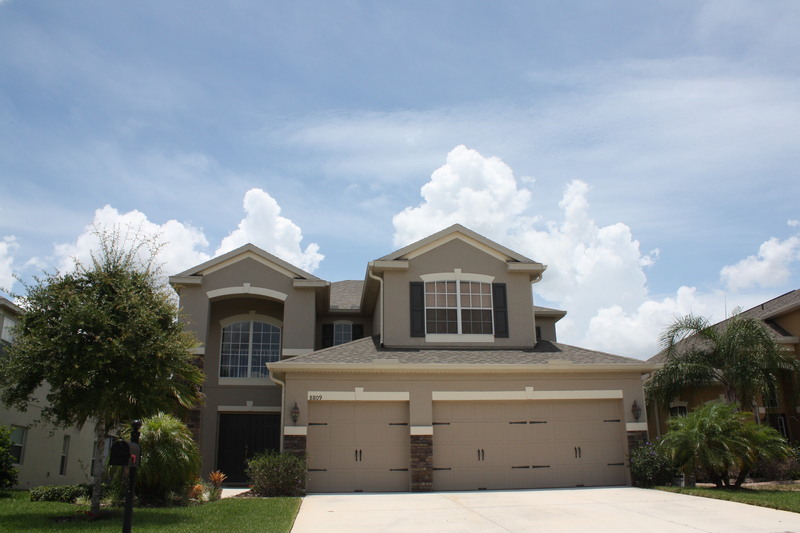 Conveniently located near the 417 in Oviedo just minutes from Orlando, Research Park and UCF. This water view 5 bedroom 3 bath home with loft is move in ready and has upgrades galore. The main floor with spacious living, dining and family room is sure to please and makes entertaining a breeze. The kitchen is exactly what you have been looking for with 42″ CABINETS, top of the line STAINLESS steel APPLIANCES, GRANITE COUNTER TOPS, PREP ISLAND and WALK IN PANTRY. The kitchen is open to the family room and both have a spectacular WATER VIEW. Enjoy evenings on the covered SCREENED LANAI with gentle breezes blowing off of the water. Included on the main floor is a bedroom/study and a full bath. The second floor is complete with 4 bedrooms AND a loft and allows for plenty of room to spread out. The large master bedroom with walk in closet overlooks the water view below. The expansive master bathroom has GARDEN TUB, WALK IN SHOWER AND DOUBLE VANITY. Other amenities include SECURITY SYSTEM, 3 CAR GARAGE, CUSTOM BLINDS, SURROUND SOUND, CROWN MOLDING, UPGRADED FANS, IRRIGATION SYSTEM and transferable TERMITE BOND. Call today to schedule a showing before this gem slips away. Oviedo is known for a population of chickens that roam the downtown area (oddly enough) near the restaurant “Popeye’s Chicken”. There are so many of them roaming the area that often traffic stops as they cross the roads. The chickens have been featured on Oviedo t-shirts and coffee mugs and a poster commemorating one of Oviedo’s yearly festivals, “A Taste of Oviedo”. The city of Oviedo is currently planning a brand new downtown development just south of the current “old downtown” along Oviedo Blvd. The new town center will be a mixed-use development including town homes, single family living, apartment homes, restaurants, retail, and a planned amphitheater. A Target, Borders, YMCA, Little League, bowling center, nature nursery, and a new Aquatics Center are located in Oviedo. What: A 4 bedroom, 3.5 bath single family home. Description: A beautiful house at a great price! This house shows like a model with high tray ceilings, formal living and dining rooms with french doors and many high end architectural features. Many upgrades including custom sinks, granite counters, beautiful wood cabinets with a kitchen island. The enormous great room opens to the kitchen, screened patio and master retreat. Upstairs you will find three more spacious bedrooms, two baths and a bonus loft area perfect for children’s study area. This gated community boasts a pool, playground, gazebo over looking the lake and basketball court. 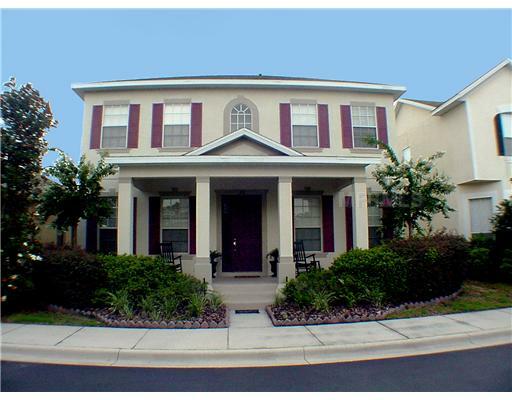 It is conveniently located near the new Winter Springs Market Place with shops and restaurants. It has great schools and easy access to the bike trails. The City of Winter Springs was ranked by the August 2007 issue of Money Magazine as the 31st best place to live in the United States and the 2nd best place to live in the state of Florida. The City’s park system consists of nine park sites which are developed for public use. *Listing Provided by Olde Town Brokers, Inc.
« How is the foreclosure debacle affecting buyers and sellers?? ?